In this issue I’m no expert and my idea is very limited, so you can catch me without any problem. 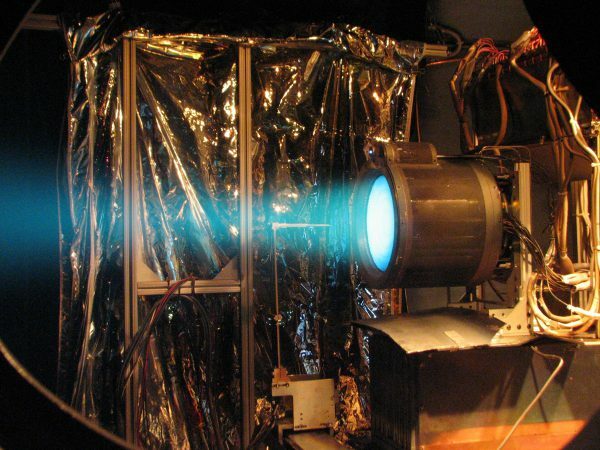 ESA, NASA and JAXA, among others, are or continue testing the next generation of non-chemical drive motors, engines better known as QinetiQ ion propulsion technology or QinetiQ. Since the 70s are being developed and, most modern are the type 6 (T6). An ion engine is based on the same as Newtonian all engines on the principle of action and reaction. As I explained to my pre university professor and suspended me, rockets work very simply. What always intended with a rocket is expelling something to the opposite side that you want to have the motion vector so that, by action and reaction for every action that is taken, it has an opposite reaction that is precisely the force that moves the rocket. As Newton’s third law tells us: If a body acts on another with a force (action), it reacts against it with another force of equal value and direction, but opposite (reaction). So a simple way, the aim is to expel something with some force and normally what is done is to drive a gas or burning it creates a push. Some people explained by the pressure of molecules, but that’s getting into eleven staff shirt. But for those who want to read it, the pressure generated by the combustion gas is a sphere leaves much below the rocket as generated pressure in the upper generating thrust. Then, without going into great detail, it can improve efficiency by modifying the cone of the nozzle and the exhaust pipe as a change pressures and improve efficiency. 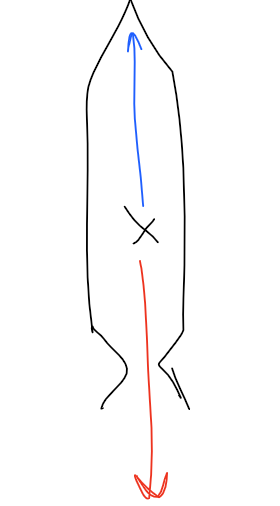 For those who like to be precise, by modifying the shape of the nozzle and the cone is achieved that higher gas pressure is greater and therefore greater thrust. What it is always a rocket is intended to expel something to the opposite side That is why other ways to get push using Newton’s second law that need less fuel but have other problems arose. Hence it was thought ion engines. An ion engine is only going to undermine looking molecules which will spit behind the rocket. If we take the gas (or what we are going to spit) and are able to accelerate it in some way by the second law of Newton get more thrust. And how?. 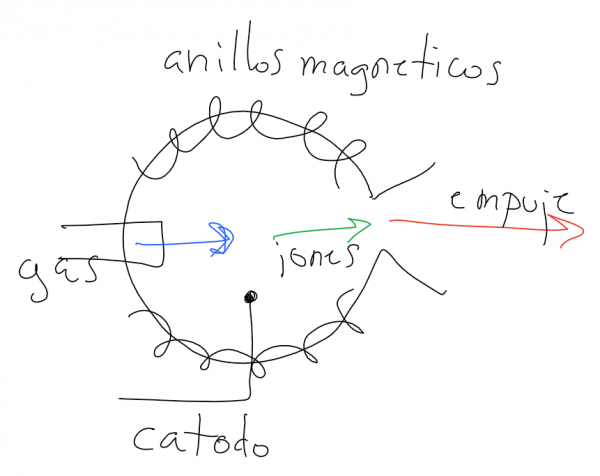 Simple, the fastest way is through a magnetic field accelerate particles (what you sound, right?) And how the magnetic field influence is better in the particles or electrically charge them. That is, if we use an easily ionizable as argon or xeon gas, expelled in a bowl which we put a cathode load molecules and a magnetic field that the “east” outward, in a nutshell we have an ion engine. The problem with these engines, although the ions are ejected at high speeds, is that the push is not very big (for now). It is playing with shapes of the container, fields, gas type, location and Young cathode effect (grid) to increase its thrust. But the advantage is that it needs very little fuel and the cathode and the magnetic field generated is free (remember, electricity, solar panels …) so if a chemical engine runs out of fuel soon, an ion engine can be running long periods of time thus constant accelerations. The main problem is getting the ions move all on the same side (to increase thrust) and does not bounce (decrease) at the same time the number of these is maximum. These engines, with future engines microwave that are in development (and have not been tested in space) are being designed and used for missions of long distances, where if average trip accelerating it goes, it does not matter.